Prime shoppers helped drive Amazon's profit surge in the first quarter of 2016. The company reported a 28 percent jump in revenue, to $29.13 billion. Amazon is clearly entering its Prime. Meaning, of course, its $100 annual membership program, now a decade old, which has accomplished the remarkable feat of convincing millions of people to pay an annual fee for the privilege of, well, shopping. Prime is now central to Amazon's strategy of dominating the world of commerce. What started as a yearly fee for free two-day shipping now offers a sometimes bewildering array of perks, including household product subscriptions, one and two hour Prime Now delivery, streaming music and video, e-books, groceries (for an additional $200 a year), photo storage and more. "Prime has become an all-you-can-eat, physical-digital hybrid," Amazon founder and CEO Jeff Bezos wrote in his annual shareholder letter in April. He wants the service to be such a good deal that you'd be "irresponsible" not to sign up, he wrote. Why the emphasis on Prime? Simply put, members of the loyalty program shop more frequently and spend more money, analysts say. Prime shoppers helped drive Amazon's surprise profit surge in the first quarter. Shares of the e-commerce giant jumped in after-hours trading Thursday after it reported a 28 percent jump in revenue, to $29.13 billion. Net income was $513 million, compared to a loss in the year-earlier quarter. Amazon doesn't release detailed numbers on Prime, although Bezos wrote that Prime has "tens of millions" of subscribers. Wedbush Securities analyst Michael Pachter estimates there are about 50 million Prime members. Even a 25 percent price increase in 2014, the only one for Prime in 10 years, hasn't appreciably dampened enthusiasm for the program. Membership grew 51 percent last year, including 47 percent growth in the U.S., according to Bezos. Pachter estimates that Prime members spend about four times what others do, and account for about a third of all Amazon purchases. "That's why Prime matters," he said. Tawnie Knight in Tuscon, Arizona joined Prime about two years ago for the convenience of free shipping. Since then Amazon has become her default shopping site. "I call it the $100 cart, because every time I go on there I spend about $100," she said. "Before Prime I probably spend around the same amount, just with other retailers like Walmart." Brandon Kraft joined Prime when it began 10 years ago to get cheap textbooks while in school. Now he finds it essential — with five kids ranging in age 17 months to 6 years at home — for ordering diapers and wipes and other household goods. "I think it's fair to say we spend $125 or $150 a month at Amazon that we wouldn't have been spending if we didn't have Prime," Kraft said. "We go to the Amazon site first when we need something, and if they don't carry it we start the actual shopping process of looking elsewhere." Of course, Amazon Prime isn't for everyone. Those that shop infrequently online won't find the $100-a-year fee worth it. With an estimated 244 million registered Amazon accounts, a large majority of Amazon shoppers — roughly 80 percent, in fact — haven't signed up yet. 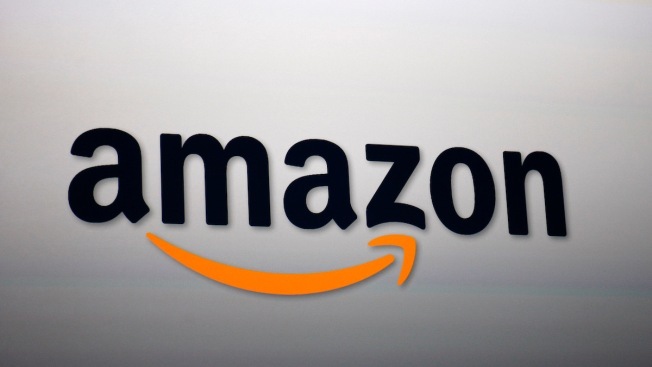 Amazon continues to add Prime offerings to entice more users. Last week Amazon started offering a monthly Prime subscription for $11 a month, aimed at hooking shoppers during the holidays when the majority of Prime members sign up. In 2015, 3 million shoppers joined Prime in the third week of December alone. Amazon also introduced a standalone video service for $9 a month, setting itself up to directly compete with other streaming services like Netflix. Investors have long griped about Amazon's strategy of investing the revenue it makes into new offerings, leading to little or no earnings growth. But the first quarter results were the fourth in a row in which Amazon reported a profit, which some analysts interpret as a willingness to rein in costs when needed. Chief financial officer Brian Olavsky, however, told reporters on a conference call that the company's profits stem mostly from strong growth in sales. The company isn't slowing its investments, he said, citing recent spending on logistics and original programming for its streaming video service.